At Pearl’s Hair and Nails, no one questions Tate Robinson about his high heels, crop tops, and lipstick, because he’s the boss and he can wear what he damn well pleases. The shop is his life, and he doesn’t need anything more. Until a man walks in with his adorable daughter, and Tate has to untangle her helmet-hair… and his growing feelings for the single dad. Disappointment surged through Reece but then quickly dissipated. Tate didn’t think Reece would personally fuckup whatever this was that was starting between them. No, this had nothing to do with Reece. Tate had been burned, and Reece could relate. He couldn’t make any promises about the outcome of their budding whatever it was, but he damn sure wanted to try. He didn’t want to be to Tate what all the other men who’d come before had been. I loved this book! The romance between a flamboyant salon owner and a young, single dad with a difficult past is sweet and charming – and heart wrenching at times. Tate is as joyful and entertaining as the contestants he watches on RuPaul's Drag Race – but beneath the surface, too much rejection has made him vulnerable and wary. Reece is making a good life for him and his daughter, but he doesn’t feel like he will ever be able to move past the reputation he gained as a teenager. The relationship between these two is tentative and slow. Reece’s daughter, LJ, has more confidence than the two grown men and I love the way she brings out the best in both of them. I love that this is a quiet and very human story. Heartbreak is found in everyday challenges like Reece’s custody battle and both men’s strained relationships with their families. I love that these two men make each other better versions of themselves. I also love the humour and joy in the scenes in Tate’s salon. 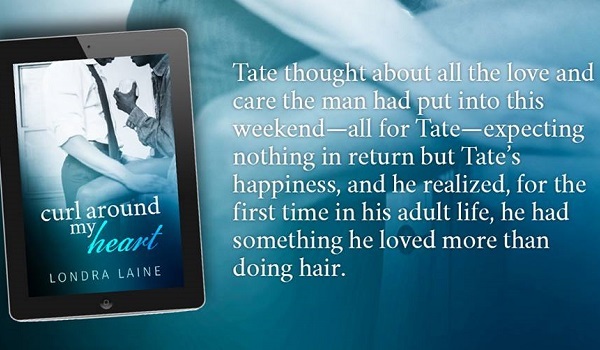 There are a couple of hot scenes in this book, but this is more a book about life, love, and relationships than it is about the sexual connection between Tate and Reece. There are some wonderfully poignant observations and moments in this story that will stay with me. And now for the elephant in the room. This is a story about the relationship between two black men. It shouldn’t be a surprise but sadly, this is an unusual m/m pairing. Romance writers are slowly starting to introduce non-white heroes, but usually in isolation. We now get some BAME characters in sports romance and in military romance but usually in a predominately white setting. This book gives readers two black leading men who are surrounded by black characters. Tate and Reece have complicated families and interesting friends. I love that the author doesn’t feel any need to explain, apologise, or set the scene any more than a white writer writing about white characters would. There are a few black American cultural clichés in this book – but there are also some surprises. 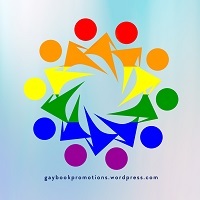 These characters are fully formed people, not types. I don’t feel like this book was written to make a statement about race in romance writing, but it did make an emotional impact on me and it forced me to question the lack of diversity in romance – especially in a sub-genre like m/m, which is supposed to be all about diversity. I absolutely adored Curl Around My Heart!!! This book wasn’t actually on my review list, but as our blog’s review coordinator, I strive to categorize the books we review as accurately as I can. Not knowing if Tate wore makeup because he was genderfluid or nonbinary, or if he simply enjoyed doing so, I cued the book up on my Kindle to read through the first chapter or two to see if I could suss it out for myself, rather than waiting for a reply from the ladies who signed up to review it. Best mistake ever! Within just a few pages, I found myself sucked into Tate’s life, into Reece’s life, and even into little LJ’s life. I couldn’t put it down as I slowly but surely fell in love with the three and the tentative family they were creating. My heart broke for both Tate and Reece as both men were belittled and made to feel less than by the very people in their lives who should have loved them and supported them unconditionally. My heart soared as the two took tentative steps toward a friendship that quickly became more as Tate realized that Reece didn’t tolerate his effeminate ways but embraced them. And it continued to soar as Reece’s confidence grew each time Tate pointed out his parenting and personal successes, showing Reece what it felt like to have someone who believed in him and encouraged him. Not surprisingly, my heart also got bruised along the way as it was a very bumpy journey for Tate and Reece to navigate parental disdain, a custody battle, fear for LJ, miscommunication, and disappointment. Yet despite all that, when Reece needed him most, Tate was there for Reece, giving him a shoulder to cry on and holding him together while Reece’s world fell apart. Despite their young age and some fear-driven miscommunication, there’s a maturity to Tate and Reece’s story that I don’t often see in romances that fall in the new adult age range, and it was quite refreshing. It’s also what made the epilogue so freaking perfect! 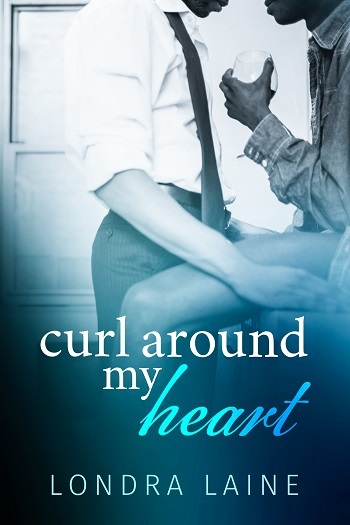 There is so much to love about Curl Around My Heart that I cannot properly express my full enjoyment. The only thing I didn’t like about the book when I first encountered it – the jumps in time – went away quickly as I realized they were necessary to propel the story forward. I suppose it actually is the author’s fault that I enjoyed spending time with Tate, Reece, and LJ so much so that I wanted more of their lives together, but the jumps in time were clearly marked and well executed – even if I was cheated out of LJ’s playdate with her teammates. But in my opinion, that’s the mark of good writing, creating characters your readers don’t want to say goodbye to and I definitely wasn’t ready to say goodbye to Tate, Reece, or LJ. At least I can revisit them anytime I want to on a re-read… unless Londra Laine gets inspired to write a sequel, in which case, I’m all in for that. Until then, I’ll be checking out Laine’s other work while I wait to see what the author releases next. I simply adored this book. Little LJ stole my heart from the start! Reese and Tate were so amazingly good together. They both had crappy families that tore them down, but each man succeeded in building the other one up. This story made me laugh and cry, made my heart break and mended it back together. Reese accepted Tate and how he dressed and wore makeup. He hated it when Tate would tame it down because it wasn't really Tate. Little LJ was sassy and smart, and I wanted to hug her so many times. The story and characters were simply wonderful. 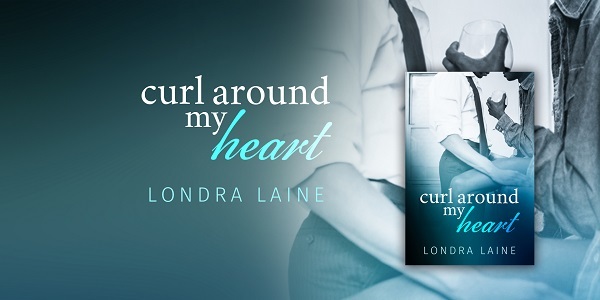 Reviewers on the Wicked Reads Review Team were provided a free copy of Curl Around My Heart by Londra Laine to read and review for this tour.